Hi, I’m Heather, I work for Netflights. 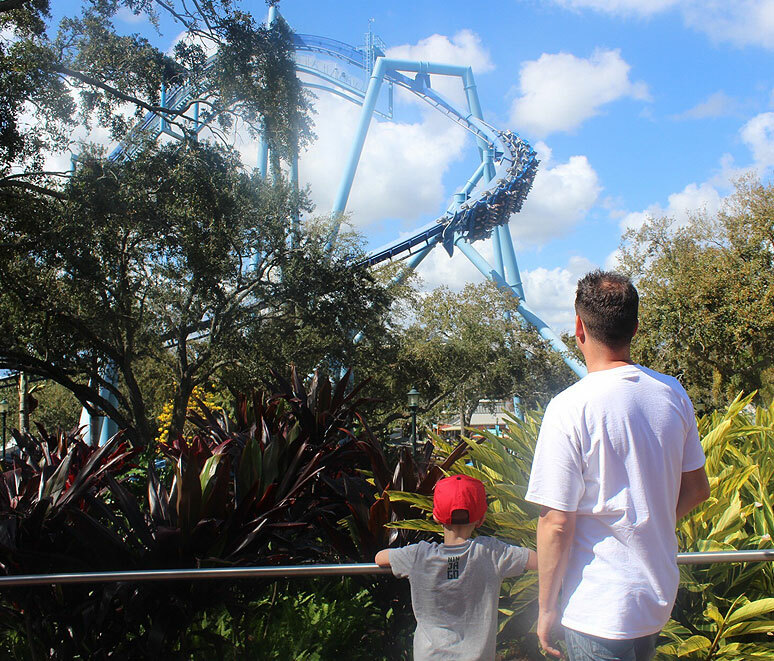 I recently got back from a trip to Orlando with my family – we had the best time – please, take me back there..! Now I’m home I wanted to share my experience of how easy it is to hire a car with Netflights. 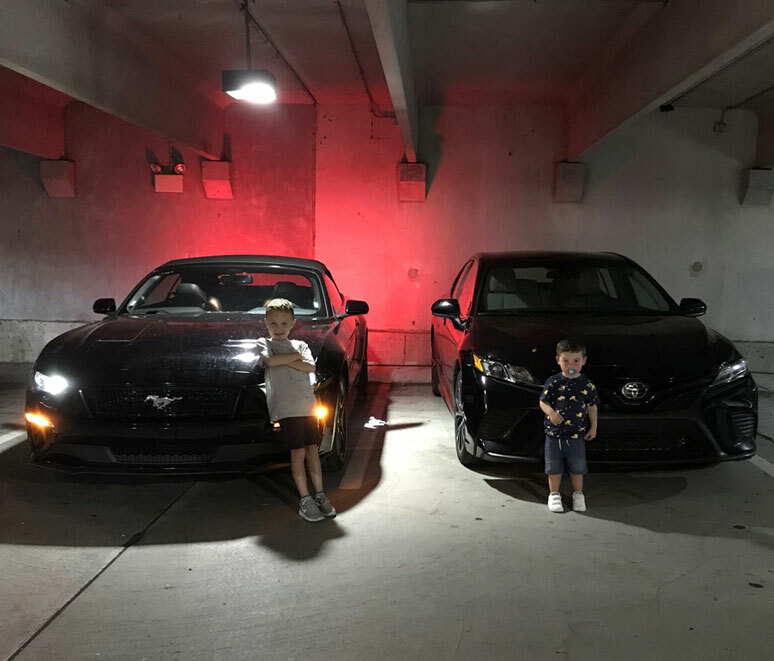 The main reason we chose to hire a car in Orlando was because it makes it so much easier and convenient to get around – especially with two kids. 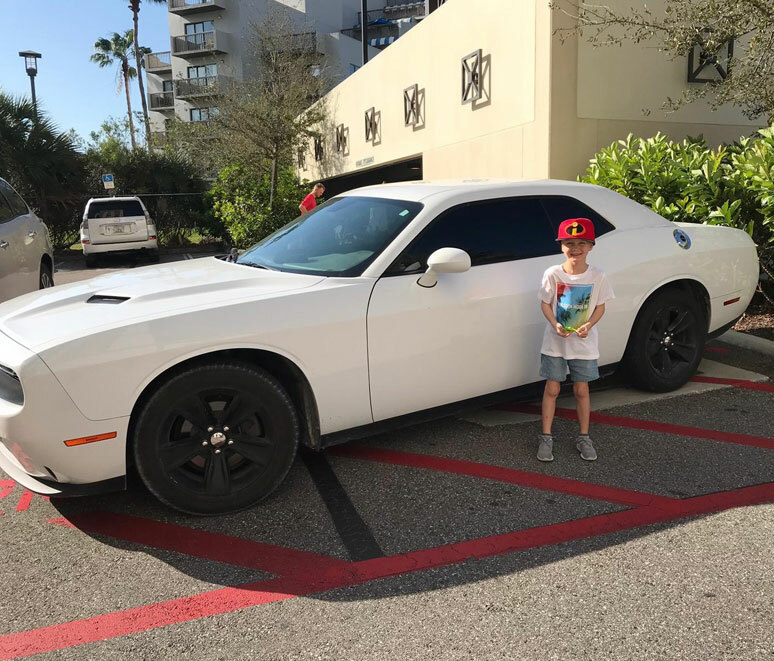 As soon as we landed at Orlando International Airport, we made a beeline for the Car Rental depots, it’s super easy as they are all in one area and the cars are right outside. 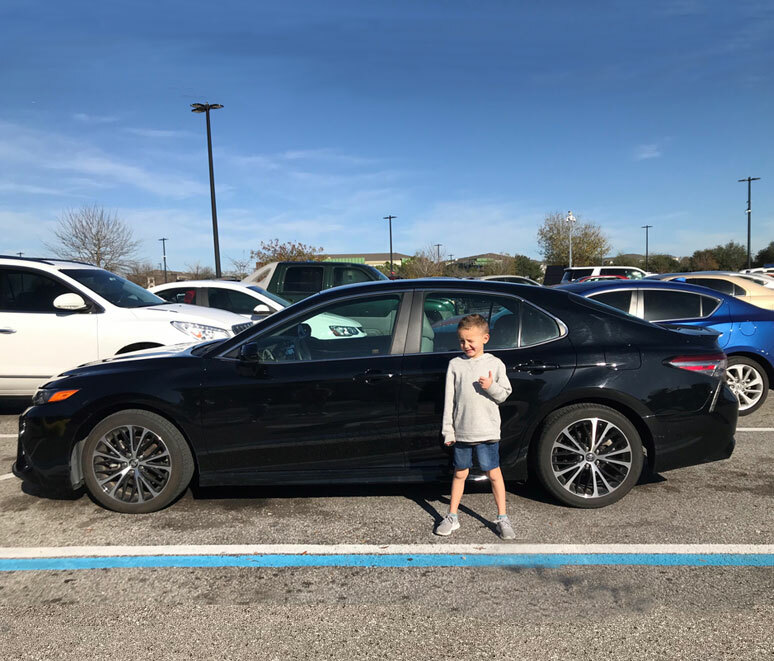 Orlando is one of Alamo’s ‘Choice Locations’ too so straight away letting the kids pick any car they want from the row in our category was fun for them – especially after a long flight. We chose to take our own car seats with us too rather than hire them when we got there. Most airlines allow these to be carried free and you just drop them with your luggage at check-in and collect from the other side. No hassle, and saves you money! Our hotel was on International Drive and had a free shuttle to and from Disney, Universal and SeaWorld. To be honest, we hired the car and had the intention of splitting using the car and using the hotels’ shuttles throughout our stay. However, we didn’t use the shuttles at all. Having the car made it so much easier – there was no waiting for buses, shuttles or taxis that would eat into our holiday time. We had free car parking at our hotel and for a few days we even had two cars, and this wasn’t a problem. We could go to the theme parks when we wanted without having to stick to a shuttle bus schedule. This was perfect for the days where we spent all day or had late nights in the parks watching firework displays and shows, and when the kids were tired we didn’t have to rush to get them up the following morning in order to catch a shuttle. We had the flexibility to go out when and where we wanted. It’s also worth mentioning that some hotel shuttles stop running at around 5pm so this is especially important for families who want to attend evening events. For those hotels who do offer later transfers, our kids were so tired at the end of the long days that they would fall asleep on the way back to the hotel. Much more comfortable than sitting on a crowded shuttle bus. For those staying on-site at Disney or Universal, although free shuttles are provided between the parks, they aren’t provided to others. So for example, a Disney resort guest would have to make their own way to Universal or SeaWorld, or any other non-Disney attraction. 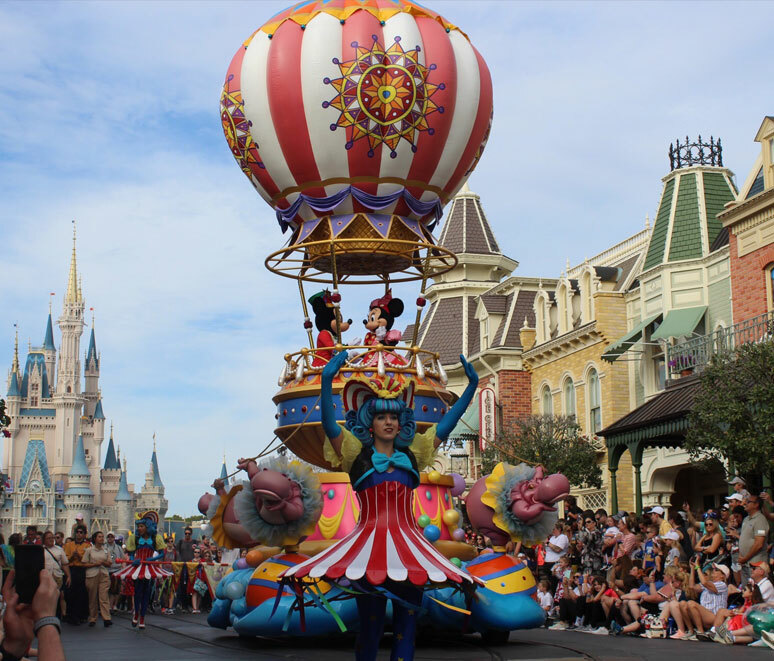 Guests staying on-site may be better to use Park transportation for a few days and also hire a car for a few days to visit other attractions – the cost of renting will be very similar to using taxis, buses or Ubers. Our days in Orlando were very busy, and most days we would go to a Park and then stop off to eat on the way back to our hotel. Having a car made this so easy – we didn’t have to wait for a shuttle to collect us and then get back to our hotel, decide where to go to eat and then find transport to get there. With a car you can stop off anywhere you want. We hired a full-size car whilst in Orlando – this was perfect for us as it had lots of space. We decided to break up our holiday from the theme parks and went over to Cocoa Beach to unwind. 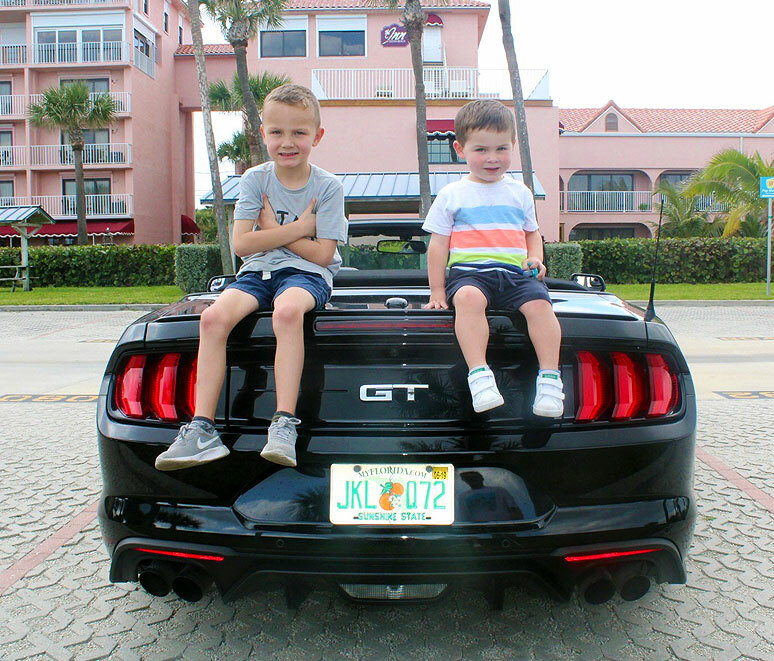 For this, we changed our car to a Ford Mustang convertible. The kids – and husband – absolutely loved it! It was such a novelty having the roof down, my two-year-old called it the ‘racing car’ – too cute! We collected from a depot that was a ten minute walk from our hotel. Don’t worry, you don’t need to go back to the airport to collect your car, there are so many locations in Orlando that make it so easy to collect a car. By renting a car you can be a lot more flexible with your plans and you can even change them at the last minute. There was a day where my six year old wasn’t very well so we had a day at the hotel and went to a Park in the evening – and found that car parking was free at the parks after 6pm. This was the case at both Disney and Universal. As much as we loved the Parks, having the car gave us the opportunity to visit other areas around Orlando too. We had a day at the beach as well as visiting Legoland, which was about a 45 minute drive from International Drive. Without hiring a car I don’t think we would have visited these places, and the beach in particular was one of our favourite days. There are so many malls and outlets in and around Orlando too, so having a car meant we could go to different outlets in the evening without having to find transportation to get there. So, in my opinion, you can’t do Orlando without a car! Looking for a great deal on car hire? Click here for our latest offers on car hire in the USA.